The John Clark Motor Group has opened a brand new dealership in Aberdeen, which will stock Renault and Dacia vehicles at a showroom on Abbotswell Road. John Clarke has reportedly invested more than £150,000 on the newly refurbished site, which will feature a virtual car 'configurator' and an iPad-equipped ‘brand bar’. This is in addition to a 17-bay workshop and an MoT testing facility that were already present on the former Audi site. If you are upgrading your showroom, moving to new facilities or making changes to the type or volume of vehicles you have on the forecourt, you must ensure that you have the right level of motor trade insurance and road risks insurance to cover your new stock. 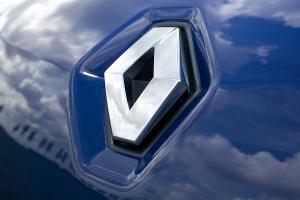 The new franchise will be the first Renault Group dealership opened by John Clark in its entire 37-year history. Chris Clark, the director of John Clark, said: “The addition of Renault and Dacia to our portfolio allows us to cover areas of the market that we do not currently represent. “With Dacia vehicles starting from only £5,995, this brand in particular presents us with a true opportunity to target car buyers that have yet to experience John Clark. Darren Payne, the sales director for Renault Group UK, added: “With John Clark already enjoying a sizeable presence across Scotland and having established an excellent reputation over the best part of 40 years, we’re delighted to welcome such a valuable addition to our dealer network.